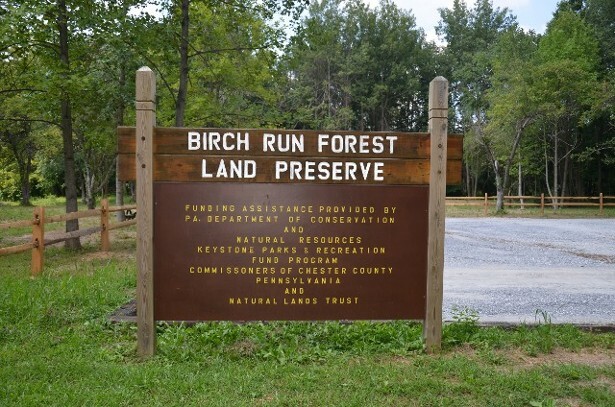 Birch Run Park is a 169 acres of open space. It is currently a work in progress and already has a parking lot, picnic tables and a walking trail. This is a nature trail and the West Caln Road Crew is currently working on mulching the trail. This is open to the public to enjoy a beautiful property. Birch Run is located off of North Sandy Hill Road. For GPS purposes, you may use 575 N. Sandy Hill Road, Coatesville.